I also want to express by appreciation to Patricia "Patti" Heath for providing this information which comes from family records. 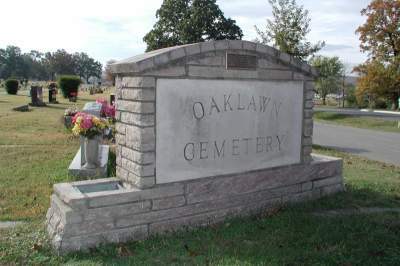 This cemetery is the main one in Batesville, Arkansas. She would like to hear from any Mack family researchers. She is also related to the Massey, Moore, Ferguson, Leggett, and many more families. There is always the chance of error. Please verify facts for yourself. Nannie Lee Morgan Engels b. 16 May 1879 d. 5 Mar 1965 daughter of William Lorenza Morgan and Elizabeth Tabitha Moore Morgan, and wife of Young Mack Engels, Sr.
Muffet Lois Jimerson Engles b. 18 Jun 1920 d. 16 Feb 2005 daughter of Charles Edgar Jimerson and Ellen Logan Jimerson. - information from her son Charles R. Engles. Young Milton Mack, Jr. b. 2 Mar 1893 d. 20 Jul 1960 husband to Hazel Edna Mack and son of Young Milton and Louise Mack, Sr.
Lou Anna Massey b. 13 Nov 1884 d. 21 Feb 1981 wife of Luther Edgar Massey, Sr., and daughter of Young Milton and Louise Mack, Sr.
Mary Varina Rutherford b. 22 Nov 1907 d. 10 Jul 1980 daughter of M. M. and Jennie Rutherford, and sister of Blythe and Medford Rutherford. Gary Mack Simmermon b. 26 Feb 1948 d. 26 Feb 1948 died at birth, son of James R. and Marie Simmermon, Sr.
Mary Louise Kennard Williams b. ? d. 10 Oct 1943 wife of Bennie Robinson Williams, and daughter of John Frazier Kennard and Mary Watkins Kennard. Nettie Mae Massey Leggett b. 22 Apr 1884 d. 25 Jan 1970 daughter of Rev. Edwin Luther Massey and Isabella Virginia Morgan Massey, wife of Roy Hugh Leggett, Sr.
Louis Hope James Leggett b. 10 Nov 1919 d. 22 Mar 1981 daughter of Archibald Monroe James and Mattie Susan Rider James, wife of Roy Hugh Leggett, Jr.
Sarah "Sallie" J. Runyan Parks b. 20 Sep 1879 d. 20 Feb 1956 wife of Hugh W. PARKS and mother of Hazel Edna PARKS MACK. and wife of Judge William Casper Bevens. Ida G. (McNeill) Bevens b. 2 Aug 1851 d. 8 Apr 1929 Second wife of William Alexander Bevans. Catherine Eugenia (Bevens) Butler b. 19 Sep 1937 d. 7 Jan 1900 d/o Judge William Casper Bevans and Catherine Elizabeth (McGuire) Bevans. Wife of Judge James Weatherald Butler. Judge James Weatherald Butler b. 1 Apr 1829 d. 17 Mar 1915 Husband of Catherine Eugenia (Bevans) Butler. Virgil James Butler b. 10 May 1896 d. Sep 1983 s/o Paul Bevans Butler and Neva Pearl (Cook) Butler. Husband of Pauline (Wright) Butler. Virgil Young Cook b. 14 Nov 1848 d. 12 Mar 1922 s/o William Ditterline Cook and Pernecia (Dodds) Cook. Mildred Ophelia (Lamb) Cook b. Jul 1850 d. 7 Jul 1816 Wife of Virgil Young Cook. Virgil Whitfield Cook b. 26 Jun 1874 d. 7 Feb 1892 s/o Virgil Young Cook and Mildred Ophelia (Lamb) Cook. Cook and Mildred Ophelia (Lamb) Cook. John Patterson Morrow Sr. b. 3 Jan 1877 d. 26 Feb 1965 Husband of Bertha May (Cook) Morrow. Morrow. Husband of Wanda (Matthews) Morrow. Wanda (Matthews) Morrow b. 12 Apr 1935 d. 12 Jul 2001 Wife of John Patterson Morrow Jr.
of Dr. Alfred C. Bevens. Bevens and husband of Virginia A. (Green) Bevens. Virginia A. (Green) Bevens b. 1839 d. 1939 Wife of William Edwin Bevens. The following information and pictures have been provided by Stephanie Wells Richards. I want to thank her for her help in providing these. 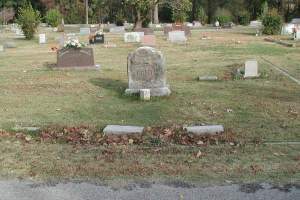 Please click on the link to see the tombstone.